The Who's Windmill Contest ... Results Are In!! 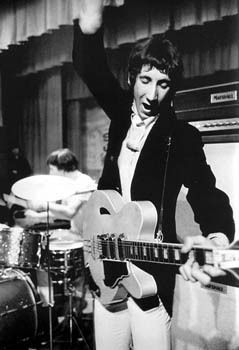 Several weeks back, this Hot Rod Anglican got in touch with his inner Pete Townshend, and entered the Maximum Windmill Contest, sponsored by The Who. And the results are in: I won one of the twenty 3RD Place Awards! Woohoo! Or, rather, WooWHO! I got the email notice of my award at the very close of a difficult work week, and it was a welcome reminder that I do have a life outside of my grey-lined cubicle!